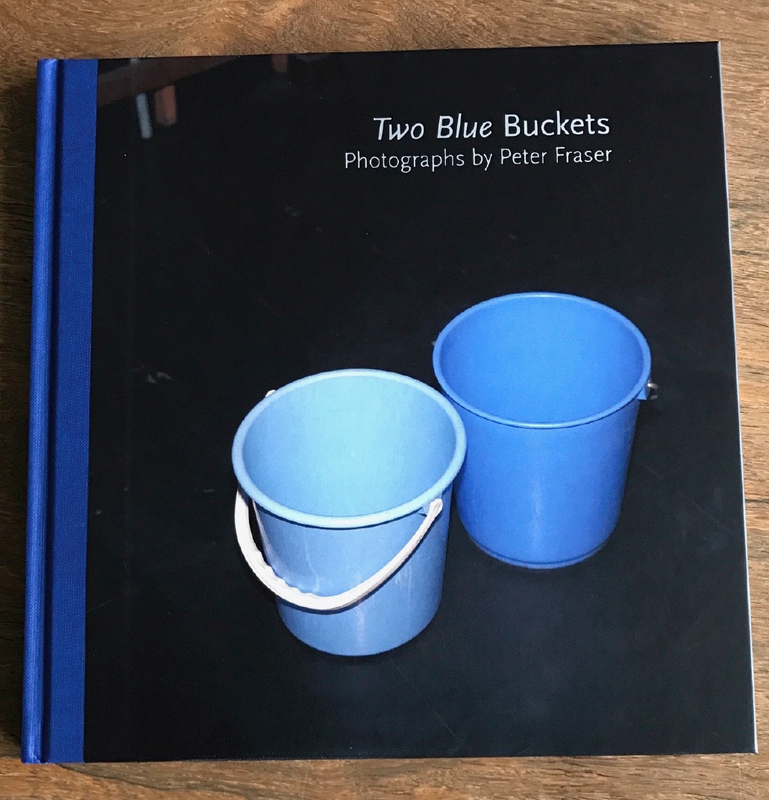 ‘It is clear that Two Blue Buckets was a new kind of British photobook, so indeed as to cause a degree of puzzlement in certain quarters. In its contemplation of the banal and the metaphysics of object, its juggling of apparently disparate themes, and its intensely personal reflection, it prefigures much that was to follow. With this new ‘director’s cut’, as it were, we can not only get a more complete idea of Peter Fraser’s original conception, but also re-evaluate it in the light of almost thirty years of photobooks that have followed. This allows us to appreciate its originality afresh, and see how the quirky, diaristic sequence of photographs has moved from the fringes of the medium to the very heart of the mainstream’.